Looking for a Oil & Gas Financial Advisor? We are experienced and familiar with assisting oil & gas employees, living and working outside of their country of origin, to address their global individual financial planning and investment needs. We are cross border international specialists, with advice provided globally from a UK regulated base. Individuals working in the oil & gas industry require more specialised financial advice solutions due to the nature of the industry they work in. From day to day cross border portable international banking to medium-long financial planning while they work in several geographic areas. Through our online advice service we can reach oil & gas employees globally where international financial advice wasn’t reachable previously. 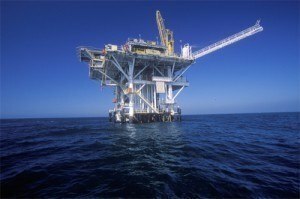 Our existing oil & gas clients have found particular value in our offshore current accounts and using portable retirement planning to match their transient lifestyles. Portable retirement planning – International Private Retirement Plan – often oil & gas workers move from place to place, this transient lifestyle goes very much against their retirement planning. It often prevents them forming coherent financial plans over the medium-long term. Offshore portable retirement plans offer a great solution to the transient contractor who, just like their local counterpart, wishes to invest and make financial plans for his or her future. The inconvenience and disruption of needing to re-establish a new retirement plan every time you ‘country hop’ is negated by this geographically portable solution. The plan stays in the same place while you move around, and it grows tax free the whole time, in a tax efficient investment area. International insurances – is your family protected with international expat life, income and health insurance? Harrison Brook is committed to providing oil & gas workers with the cheapest route to buy international insurances. Investment advice – while working have you built up savings in your bank account? Fed up with low bank interest returns? We have a range of portable investment solutions available, ranging from fund platforms, flexible lump sum vehicles to portfolio bonds. Our portfolio management services are personalised to each and every client, depending on such criteria as investment term and your attitude to risk. Why do Oil & Gas employees choose Harrison Brook?